Digital Book Day — Celebrating Readers! 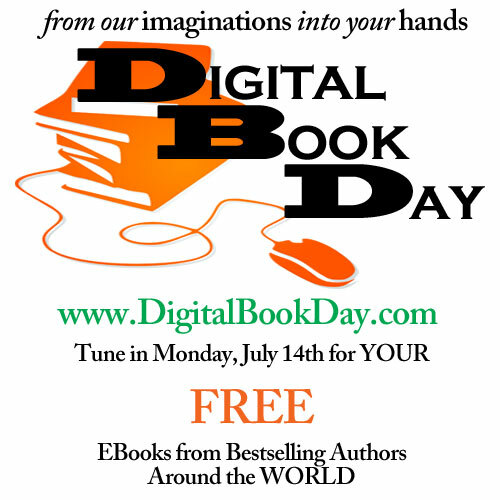 Monday, July 14th, we’re celebrating readers by giving away free ebooks! That’s right. Free ebooks! I’ve just signed up to participate in Digital Book Day, a day to celebrate readers by offering a book for free! But only on July 14th! Be sure to check back here, and on the DBD website, on Monday the 14th to get access to free reading! And don’t forget, when you’re done reading, the best way to boost your favorite indie authors is by leaving a review of their work. Amazon and Goodreads are great places to spread the word about your reading experience! Mark your calendars! This is going to be great! Next postDigital Book Day — Free Book Link!